One of my favorite cookies is the Mexican wedding cookie. They are sweet, crisp, buttery, and melt in your mouth. I can't make these unless I have a place to take them, such as a covered dish dinner or a family get-together. Charles and I would eat them all, then feel bad because we did. You can cover them completely with powdered sugar, or if you prefer, add a little cinnamon to the sugar before rolling the cookies in it. Preheat oven to 350 degrees. Beat butter until light and creamy. In a separate bowl, mix flour with 3/4 cup of powdered sugar. Add to butter and blend until dough is consistency of course crumbs. Add pecans and vanilla to form a smooth dough. Roll into 1 inch balls. Place balls on ungreased cookie sheet and bake 10 to 12 minutes or until very lightly browned just at edges. Roll cookies in remaining powdered sugar while still warm. Cool on a wire rack. Makes approx. 3 dozen cookies. Do you like Mexican Wedding Cookies? These are one of my favorites, too! I rarely make them, but your post has me thinking it's about time to change that. Thanks for sharing on Snickerdoodle Sunday. Pinned to my desserts board. Hi Beverly, thank you for commenting! I think it is about time to make some wedding cookies, too. Thank you for pinning. 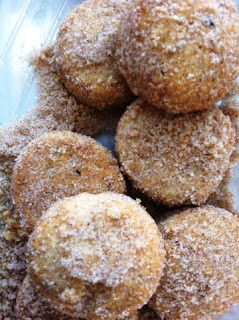 I enjoyed Snickerdoodle Sunday and found some really fun articles.